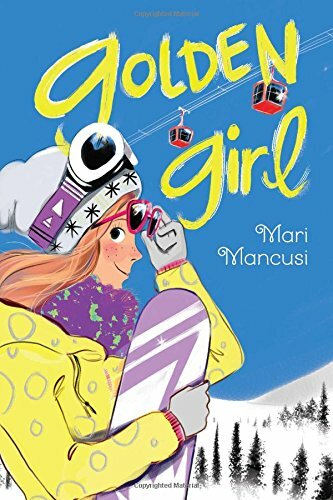 A snowboarding prodigy tries to reclaim her standing as the “Golden Girl” at her elite winter sports academy in this brand-new M!X novel. Lexi Miller—a.k.a. “Golden Girl”—is the snowboard cross queen. As the most promising student at her elite Vermont ski and snowboard school, Mountain Academy, Lexi is a shoo-in for the Olympic-level trial team. That is, until a freak fall during a snowboard-cross competition crushes her dreams and puts her future at stake. A year later, Lexi’s back at school, physically healed, but still mentally scarred. Every time she straps on her snowboard, severe panic attacks set in. To make matters worse, her best friend has turned her back on her, her archenemy on and off the slopes is determined to make her life miserable, and everyone is treating her like an outcast. The only person who seems to understand is Logan Conrad, a “staff rat” whose mother works on the mountain. Lexi finds herself drawn into his world just off the mountain, and discovers she has a knack for singing—something her new friends encourage. But Lexi’s dad—who also happens to be her coach and lead instructor at school—has different ideas about his daughter’s new friends and talent. Will Lexi ever be able to figure out what exactly happened on the mountain a year ago while trying to balance her own dreams with the dreams her father has for her?